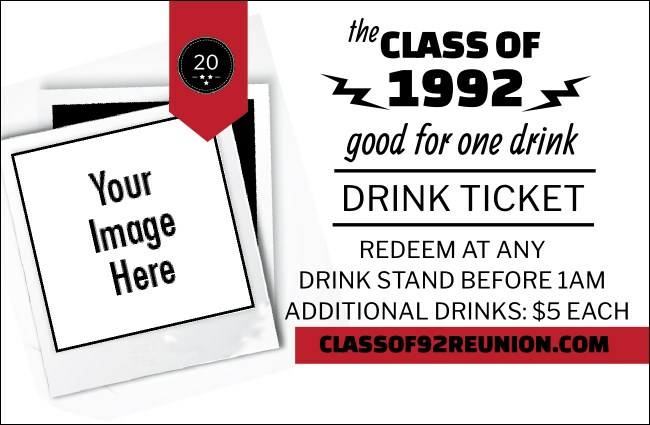 Put a big smile on the faces of all your old classmates when you print Class Reunion Mascot Red Drink Tickets for your school reunion event. Every classic ticket template features room for you to upload your own personal image on a bold red and white background with sequential numbering for security. Find the right ticket to bring everyone together at TicketPrinting.com.